Discussion in 'Nike Retro' started by langfor5, Aug 24, 2018. Too glossy agreed. I actually like the green. Still buying on discount. 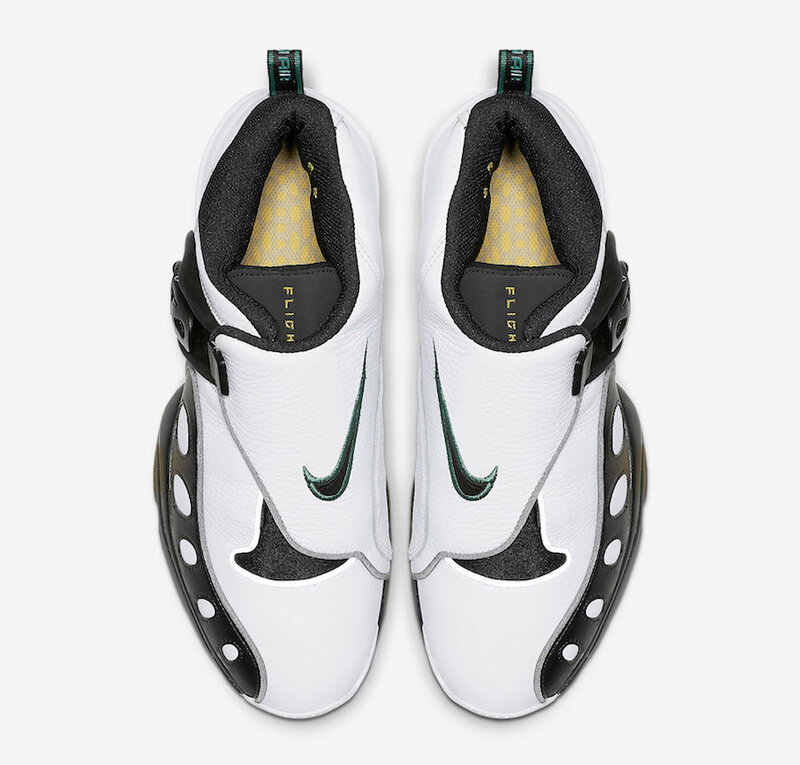 Buying day 1 feel these will sell like the black 98s will catch a non og colorway on discount. The glossy leather kills it for me...in a bad way. Wasn't a fan of that colorway to begin with so I'll sit the initial release out and hope for the navy blue (which I believe the leather rand was iridescent) or black volt color way. We feelin like we ain't payin that. but that they still gone be had. SLP, thmea, jayz4days and 2 others like this. jayz4days, da hen and carolinakickg like this. Nah at that price. Way to expensive for that shoe and especially for the initial release color way. I could maybe see the black / neon or navy / white pair moving but I’m pretty positive these will sit. kzarector and kingjay718 like this. That's kinda cool, doesn't look good there but hopefully they come out nice. Horrible colorblocking on the green pair. The red should have just been used on the collar, liner or leather portion covering the monkey paw. The heel part makes no sense. bigz704, keepemclean1720, JRizzo5o2 and 1 other person like this. My body is so ready. Day 1 cop at full price. Dont even care about discounts. My desire for these outweighs any frivolous discount. AIR J XIII and tweezy916 like this. If it’s real carbon fiber on the bottom and has forefoot Zoom then it’s not a huge deal to pay retail. If it does not, then $50.00. 160 is annoying but i must own these again.